Mindy Kaling is an actor, writer, producer, and director. She currently stars in the Hulu original comedy series The Mindy Project," which she also writes and executive produces. Before "The Mindy Project," Mindy was best known for her work on the critically acclaimed, Emmy Award-winning NBC show The Office. In addition to directing, producing, and portraying celebrity-obsessed Kelly Kapoor, Mindy wrote 18 episodes of the series, including the Emmy nominated episode Niagra. 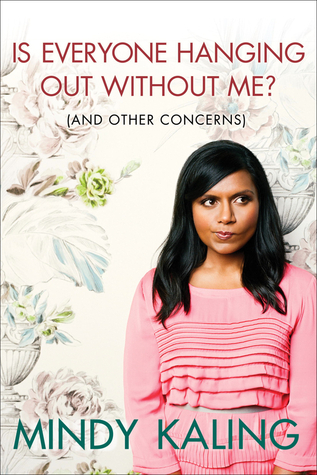 In 2011, Mindy penned the comedic memoir Is Everyone Hanging Out Without Me (And Other Concerns), which continues to be featured on New York Times and USA Todays best-seller lists. Mindys second memoirWhy Not Me?was released in September 2015 and launched at #1 on the New York Times best-seller list. In 2005, Mindy made her film debut as the object of Paul Rudd's unwanted affections in Judd Apatows THE 40 YEAR OLD VIRGIN. Most recently, Mindy lent her voice to the character Disgust in the Oscar-winning Pixar animated film INSIDE OUT alongside Amy Poehler and Bill Hader, and was seen in THE NIGHT BEFORE alongside Seth Rogen and Joseph Gordon-Levitt. She will next begin production on OCEANS 8 alongside Sandra Bullock, Cate Blanchett and Anne Hathaway. Mindy was named one of Time magazines 100 most influential people in the world in 2012. In 2014, she was named one of Glamours women of the year.